Belfast City Councillors unanimously agreed to make Sir Kenneth just the 82nd person to be granted the honour at a special meeting on Monday evening. An official installation ceremony will take place at a later date. Sir Kenneth has been a prominent supporter of NICVA since the 1980s and accepted an invitation to become its Honorary President in 2001. 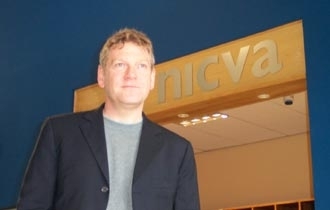 NICVA Chief Executive Seamus McAleavey said: “Sir Kenneth has often demonstrated his support by NICVA by making personal visits to boost fundraising, offering his new films for charity premieres and promoting the work of the voluntary and community sector in Northern Ireland.